April 12, 2016: Saudi Arabia's King Salman embraes Turkish President Recep Tayyip Erdogan at a medal ceremony in Ankara. 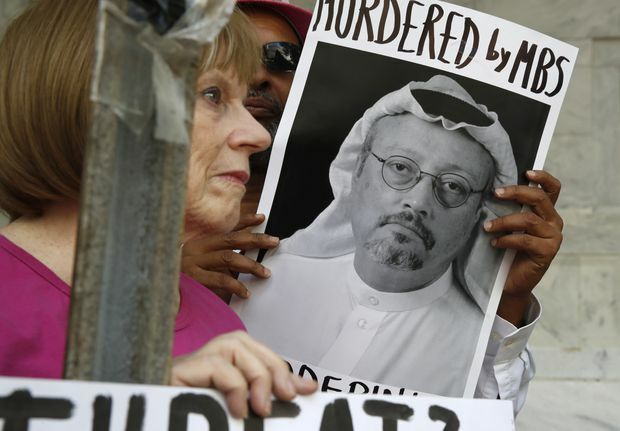 Diplomatic tensions between the two leaders and their countries have increased over the disapperance of Saudi journalist Jamal Khashoggi, who Turkish officials believe was killed by Saudi interrogators at their consulate in Istanbul. The fallout over journalist Jamal Khashoggi’s death has shed a rare light not only on a deep political divide in Saudi Arabia but on a quiet, long-running contest between Turkey and Saudi Arabia over which country – and which ideology – should lead the Sunni Muslim world. The rivalry has its roots in the Arab Spring revolutions of 2011, which split Sunni Muslims in the Middle East into two broad camps. The first – which cheered the uprisings and the subsequent election of leaders affiliated with an Islamist political movement known as the Muslim Brotherhood – is led by Turkish President Recep Tayyip Erdogan, whose Justice and Development Party has links to the movement. Turkey provided financial and diplomatic support to the Brotherhood-affiliated governments that emerged after the revolutions that year in Tunisia and Egypt. The second grouping of Middle Eastern states – comprised of those terrified of the changes rippling across the region – is centred on the ultraconservative Saudi royal family, which declared the Brotherhood a “terrorist” organization. Saudi Arabia and its allies backed the 2013 coup that ousted Brotherhood member Mohamed Morsi’s post-Arab Spring government in Egypt, effectively imposing military rule in the country. Washington, Oct. 10, 2018: Demonstrators hold signs asking about Mr. Khashoggi's disappearance at the Saudi embassy. Mr. Khashoggi was a columnist for The Washington Post. Mr. Khashoggi joined the Brotherhood in his youth and used his column at the Post to argue that Western leaders needed to deal with the group if they wanted to see democracy in the Middle East. Many of the thousands of other Arab journalists and dissidents who took refuge in Turkey after the coup in Egypt and the collapse of the Arab Spring elsewhere are also tied to the Brotherhood. In Mr. Erdogan’s Istanbul – which Mr. Khashoggi was visiting ahead of his planned marriage to a Turkish doctoral student – Arab dissidents can criticize their governments and continue their political activities in a way that would be impossible at home. Now a message has been sent: They are not safe – even here, under Mr. Erdogan’s protection. Turkish police believe Mr. Khashoggi was murdered and dismembered shortly after he entered the Saudi consulate in Istanbul on Oct. 2. Turkish media have reported that a 15-man “hit team” – headed by an intelligence agent frequently photographed in the entourage of the Crown Prince – was sent from Riyadh specifically for the assignment. On Saturday, Saudi Arabia’s public prosecutor said Mr. Khashoggi died in a fight at the consulate, adding that 18 Saudi nationals were arrested and two senior officials were fired over the incident. The statement marked the first time since Mr. Khashoggi’s disappearance that the Saudis admitted to his death. 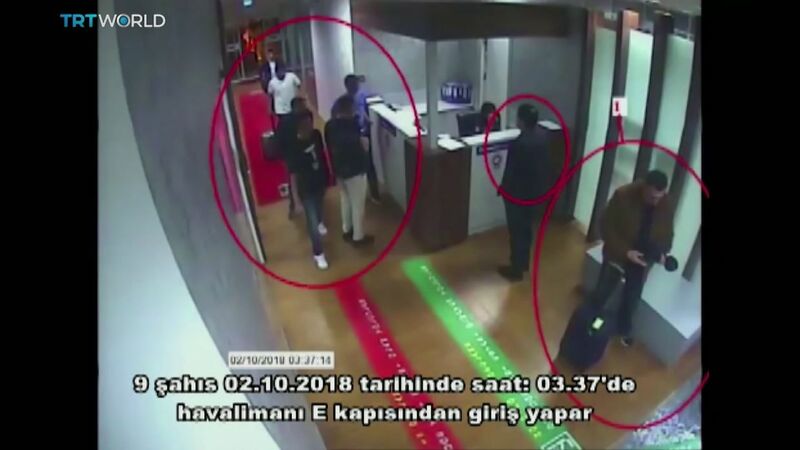 Days after Mr. Khashoggi's disappearance, a Turkish TV station aired this surveillance image from Istanbul's Ataturk International Airport purporting to show Saudi officials arriving in the country. The Turkish-language text on the screen reads: "nine people enter from airport's E Gate on Oct. 2, 2018 around 03:37." Turkish officials allege that two private jets arrived bringing Saudi officials who would interrogate, torture and kill Mr. Khashoggi. More surveillance images, published by the Turkish pro-government newspaper Sabah, show a man identified by the Turks as Maher Abdulaziz Mutreb, an associate of the Saudi Crown Prince. At left, the man is shown outside the Saudi consulate in Istanbul at 9:55 a.m., a few hours before Mr. Khashoggi arrived there; at right, the man (highlighted at right) is shown at the airport at 5:58 p.m.
A file photo from April 7, 2018, shows the man in the surveillance photos at rear, second from left, while Crown Prince Mohammed bin Salman, front right, talks with Habitat for Humanity's executive director on a tour of a flood-damaged neighbourhood of Houston, Texas. Turkey’s fury over Mr. Khashoggi’s alleged murder has been apparent from the outset. 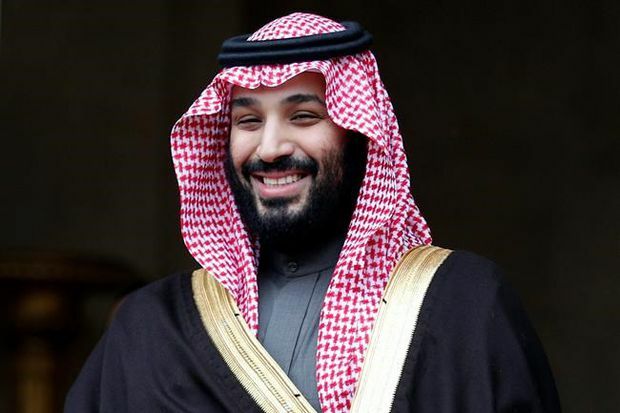 Mr. Erdogan’s government has kept up the pressure on Riyadh, and on Crown Prince Mohammed in particular, by leaking grisly new details about the investigation on a near-daily basis. 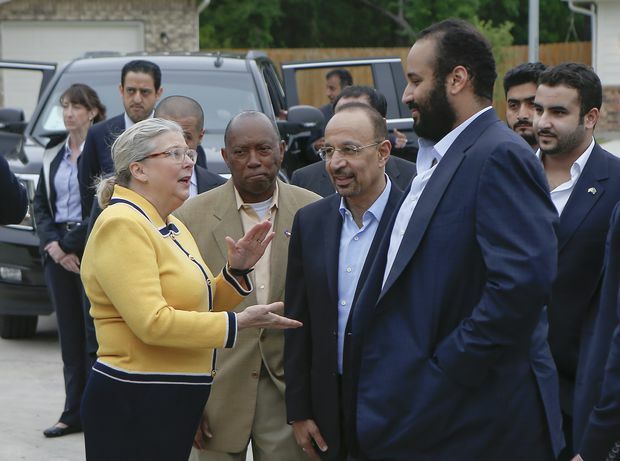 The jarring headlines about what the Saudis allegedly did to Mr. Khashoggi – and the clear insinuation from Turkish officials that they believe the Crown Prince was behind it – have snarled U.S.-Saudi efforts to find a diplomatic way out of the crisis. Analysts say the regional power struggle explains why Turkey – not often regarded as a bastion of media freedom – has made such a big deal out of what happened to Mr. Khashoggi. Banu Guven, a Turkish journalist who has been repeatedly pushed out of work because of her refusal to self-censor, said Mr. Erdogan’s behaviour in the crisis has been driven not by freedom-of-speech concerns but by anger that Mr. Khashoggi, a journalist who had interviewed the President multiple times, appears to have been killed under his nose in Istanbul. “Turkey is not just any country. Turkey has Erdogan as its President, and his style of politics, and [the Saudis] still sent their men and did this,” she said. “It was very embarrassing." Cairo, July 3, 2013: Opponents of Egyptian president Mohammed Morsi celebrate outside the presidential palace after a coup led by the head of the army, Abdel-Fattah el-Sissi, and welcomed by Saudi Arabia. Mr. Morsi was arrested along with leaders of the Muslim Brotherhood, which was declared a terrorist group. Mr. el-Sissi is still president of Egypt today. Not in Saudi Arabia, where Crown Prince Mohammed would emerge in 2017 as the kingdom’s de facto ruler – an iron-fisted one. In one of his first acts after being appointed King Salman’s heir, the Prince initiated the shocking blockade of Saudi Arabia’s tiny neighbour Qatar, which hosts and funds the Al Jazeera television network, an outlet blamed by Saudi royals for helping foment the Arab Spring. Qatar remains in near-complete isolation today, with Saudi Arabia and its neighbours closing its airspace and blocking overland trade from reaching the emirate of 2.6 million people. Qatar’s most steadfast ally in the standoff has been Turkey, which sped up a deployment of troops to a military base it had built on the peninsula amid rumours that Saudi Arabia might invade to depose Emir Tamim bin Hamad Al Thani. 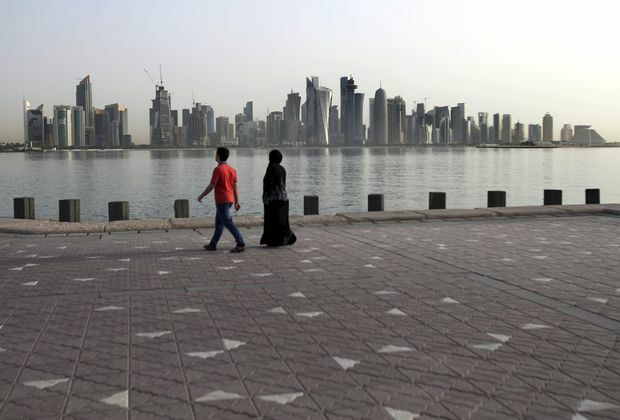 Doha, May 4, 2018: A couple walks by the sea in the Qatari capital. The tiny emirate has been politically isolated by its powerful neighbour, Saudi Arabia. The showdown over Qatar is just one arena in which Ankara is jousting with Riyadh. The battle for influence stretches from the Western Balkans to Central Asia and has seen the two countries go on rival mosque-building sprees in countries such as Bosnia-Herzegovina and Kyrgyzstan in an effort to spread their influence – as well as their differing interpretations of Islam: Turkish-built mosques generally preach a more moderate, mainstream form of the religion, while Saudi-trained imams promote the ultraconservative Wahhabi strain. 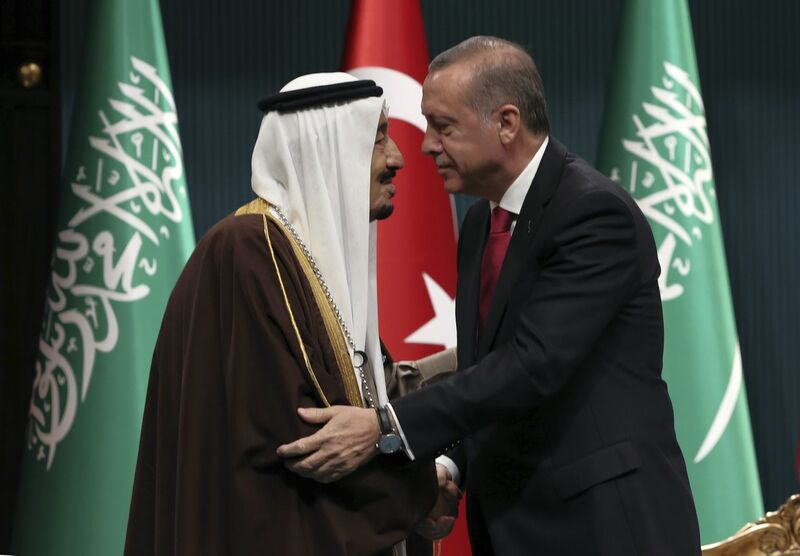 Turkey and Saudi Arabia are also at odds over the U.S.-Saudi-Israeli desire to confront Iran – a country to which Turkey has strong economic ties – as well as the Trump administration’s murky peace plan for the Israeli-Palestinian conflict. Saudi Arabia has quietly gone along with steps such as the U.S. embassy’s move to Jerusalem, which Mr. Erdogan’s government loudly opposed. Even where Mr. Erdogan and the Saudi royals agree – as in Syria’s civil war, where they share an interest in removing President Bashar al-Assad, an aim that now appears out of reach – their proxy armies on the ground have often fought each when they weren’t battling government forces. Shortly after his move against Qatar, Crown Prince Mohammed carried out another power play at home, ordering the roundup of some 200 Saudi princes and businessmen and holding them for two weeks inside the Ritz-Carlton hotel in Riyadh until they paid billions of dollars they had allegedly attained through corruption. Among the detainees was Prince Alwaleed bin Talal, who had appointed Mr. Khashoggi the editor of a 24-hour news channel he had founded. Saudi Arabia's Crown Prince Mohammed bin Salman, shown in Paris in 2018. Prince Alwaleed bin Talal, shown in a 2013 interview with The Globe and Mail. Mr. Khashoggi’s own political space also began to close. He was barred by the 33-year-old Crown Prince from writing about politics, even on his Twitter account. Eventually, he went into self-imposed exile in the United States, where he fully embraced his status as a dissident and contributed regular opinion columns to The Washington Post that were frequently critical of the Prince’s authoritarianism. But Istanbul – and Mr. Erdogan’s alternative model of Islamist politics – still drew him back east. Some reports have suggested that Mr. Khashoggi was considering splitting his time between the United States and Turkey after getting married. His fiancée, Hatice Cengiz, has said Mr. Khashoggi, who would have turned 60 last week, felt safe in Turkey. It’s now clear he wasn’t. In the wake of his disappearance, other Arab dissidents are feeling less comfortable about their own situations in Turkey. Raed Saleh, the leader of the Syrian Civil Defense – the rescue group better known as the White Helmets – said his own organization, which is fiercely opposed to the Assad regime, has “good relations” with the Turkish government. But many of the 3.5 million Syrians living in Turkey were already rattled, Mr. Saleh said, by last year’s murder of Orouba Barakat, an opposition journalist who was stabbed to death, along with her daughter, in their Istanbul apartment by another Syrian. Now there’s fresh concern in the wake of Mr. Khashoggi’s apparent death. remains the subject of controversy. pick up documents at the Saudi consulate. Note: Flight paths are approximate. All times are local. at Mövenpick and a nearby hotel. and the country on two private jets. arriving in Istanbul and followed by frenzied activity that remains the subject of controversy. marry his Turkish fiancée, Hatice Cengiz. Oct. 2, 5:05 a.m.:The Saudi group checks in at Mövenpick and a nearby hotel. Oct. 2, 1:14 p.m.:Khashoggi is seen entering the Saudi consulate; his fiancée waits outside. enter the nearby consul’s residence. country on two private jets. 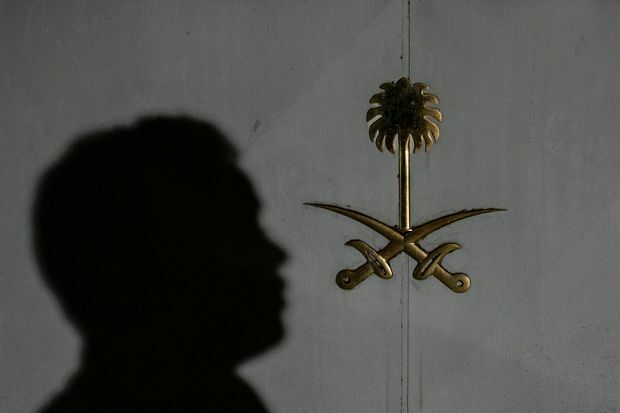 Istanbul, Oct. 17, 2018: A Saudi official stands at the back door of the Saudi consulate in Istanbul, where Mr. Khashoggi was seen entering two weeks earlier, but not seen coming out.